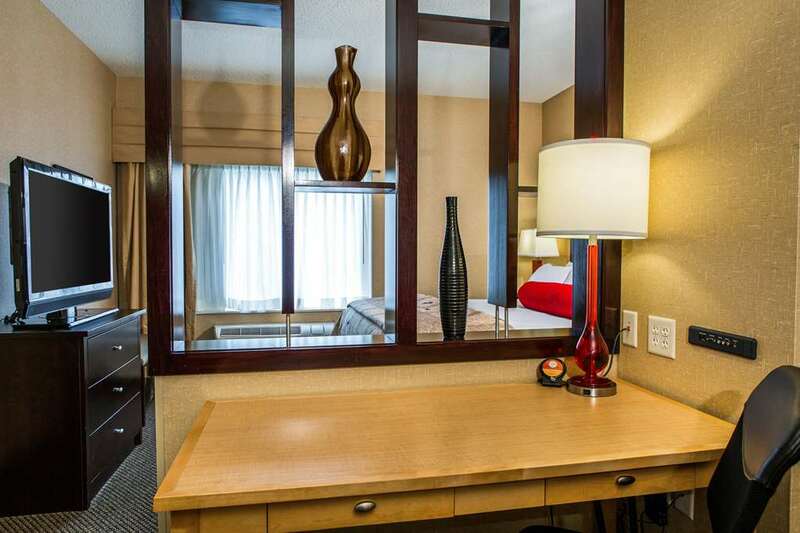 The Cambria Hotel Raleigh-Durham Airport in Morrisville, NC gives you easy access to popular attractions, including the Carter-Finley Stadium and the USA Baseball National Training Complex. Enjoy free airport transportation, free WiFi, a business center and a fitness center at our hotel. We also offer an on-site restaurant, as well as meeting and banquet space with catering services. Our stylish, modern suites feature a refrigerator, microwave, 2 flat-screen HDTVs, and MediaHub technology. Cambria hotels are upscale but not uptight, and the more you stay with us, the more rewards you earn through our Choice Privileges program.